Why Is The 3DS So Hard To Find Right Now? Tiny Tim or Little Timmy might not get their Nintendo 3DS for Christmas this year. The handheld console is facing a shortage in brick and mortar stores across the country and online. At Best Buy, GameStop and Target, the console is low-stock or unavailable in stores throughout and proximate to America’s six most populous cities. 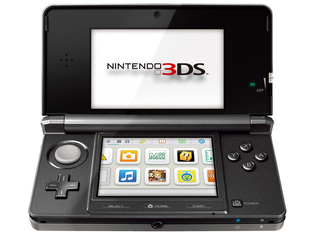 Online, most 3DS consoles are unavailable from GameStop and Target’s sites. BestBuy.com is still selling some models. Amazon has always had a weird 3DS-selling situation, so their apparent shortage may be another story. I looked online for 3DS consoles for sale at Best Buy, Target and GameStop within 90, 100 and 250 miles of the six most populous cities after Polygon on Monday reported that “this has been the case since at least after Black Friday, when members of Polygon went looking for Nintendo 3DS systems to make up for the quick sellout of Nintendo’s limited-edition, $99 holiday handheld deal.” The search bore few results. Chicago and Philadelphia are dry. Yesterday, there were “Galaxy style” models all around Phoenix Best Buys, but today, they seem to be sold out. If you’re in Houston, there’s a pink console at a GameStop in Silsbee, Texas, an hour and a half outside Houston. In New York City, you may still be able to pick up a pink 3DS XL in Manhattan or a black 3DS XL in the Bronx at a handful of select GameStops. Otherwise, you’re out of luck. We know that there’s also a Wii U shortage across the country and online, but that’s more understandable since Nintendo will roll out the Switch early 2017. But Nintendo has said that the Switch isn’t a replacement for the 3DS, despite the fact it’s portable. If that’s the case, how come no one’s packin’ it?